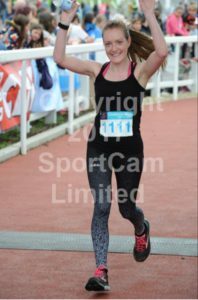 Meet the London Marathon Runner: Kate McElroy! On Sunday 28th April, 19 supporters of Metabolic Support UK will be taking to the streets of London for the London Marathon! We are always in awe of our incredible marathon runners and their commitment to train, run and fundraise in support of Metabolic Support UK, whatever the weather! In this blog series, we want you to meet some of the amazing Team Metabolic 2019 and find out how they’re preparing for the big day! Next in this series of blog posts, we’d like to introduce you to Kate! 1. Hi Kate, thank you for taking the time to tell us a bit about your 2019 London Marathon experience so far! How’s your training for the marathon going? Do you have a training plan? Training is going well. I have created a plan based on the British Heart Foundation’s plan for intermediate runners. This includes two regular weekly 5 mile runs, one weights or toning session, and one long run at the weekend. 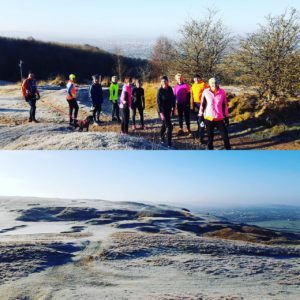 I was already running every Monday with my local running club in Winchcombe and every Wednesday with a club in Cheltenham but the plan means I have to stick to it a bit more religiously! I am already up to half marathon distance and now need to up the mileage on the long runs. Luckily, I am training with a friend. So, we are encouraging each other. She is also running for Metabolic Support UK. So, we are organising fundraising events together as well as training. The first event will be a Valentine’s themed run in February. 2. Have you run any marathons before? I have never run further than a half marathon. So, this will be a real challenge! 3.Why did you want to run the London Marathon? In April 2016, I joined my local running club as a total novice. It had been a pretty turbulent time in my personal life. I was living in a new place; had a new job; and was trying to start a new life. When I was viewing my cottage, the estate agent suggested I join the local running club as a good way of meeting new people. To begin with, I laughed at her! But I did end up joining Winchcombe Running Club and its founder, Lindsay, coached me from run/walking for 15 minutes in my first week to my first 10k race a few months later. I have made some wonderful friends and running is now a big part of my life. So, it’s time for the ultimate challenge – a marathon! And what better marathon to run than London. 4. Why did you want to run the London Marathon for Metabolic Support UK? 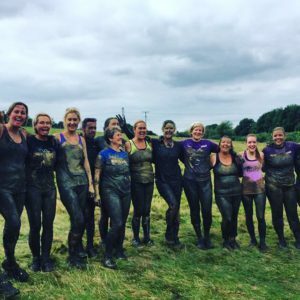 A few of my fellow running club members ran the London Marathon in 2017 for Metabolic Support UK and I went along to a few of their fundraising events, including a bingo evening and a dinner and drinks evening in a wooden lodge. Through these events, I learned more about the wonderful work Team Metabolic do and was encouraged to try for a place in this year’s marathon. And here I am! 5. Do you have a favourite running route? I am lucky enough to live in a beautiful part of the Cotswolds. So, the routes we run are very pretty, if a little hilly! My favourite route is between two small Cotswold villages: Stanway and Stanton. It’s relatively flat but I have to stop myself from taking breaks to take pictures en route! Another favourite is a route from the centre of Winchcombe up to Cleeve Hill and back again. You can see Cheltenham racecourse from the hill. The route is up hill all the way but it’s nice to know the second half is all downhill. 6. Do you have a running playlist? I almost always run with friends. So, we just chat the whole time! If ever I do go out alone, I listen to podcasts. Current favourites are “The High Low” and “How to Fail with Elizabeth Day”. 7. What’s your favourite post-run meal or snack? I’m not usually hungry immediately after a run but have recently read that you need to eat something within 20 minutes, to feed your muscles and reduce aching. So, I whip up a smoothie made of frozen banana, almond milk, peanut butter and coffee, before I leave. So, I can have it as soon as I am home – it’s delicious! The best part of training is the carb heavy meal the night before a long run. I love slow cooked ragu with fettuccine – and maybe some chocolate for afters! We hope your training continues to go well Kate! Meet the London Marathon Runner: Mike Allen!